I cannot forget another animal, which has made this small village of Kilburn famous worldwide, the mouse of Robert Thompson. Robert Thompson, a furniture craftsman called "the Mouseman of Kilburn", was born as a son of a wheelwright in the village under the White Horse in 1876. When he was a young boy working for a firm at Clekheaton as an apprentice, his pleasure was to see the masterpieces of mediaeval carvings in oak wood of Ripon Cathedral on the way he came back to Kilburn on holidays. The carvings were works of a mediaeval master carver, William Bromflet. Young Robert was so fascinated by the carvings and the craftsmanship of Bromflet. 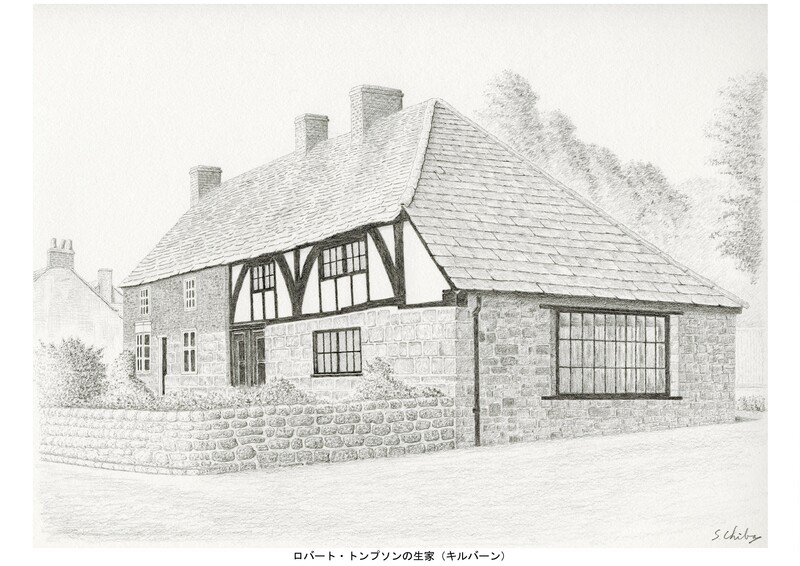 When he was twenty, returning to Kilburn to become a joiner, carpenter and wheelwright, joining his father, he began to learn the carving skill by himself. But he was no more than a young village wheelwright to do anything when he was asked. His turning point as a craftsman came when he had carved a large cross of oak asked by Father Paul Nevile of Ampleforth, a village 4 miles to the east of Kilburn. The work showed excellent craftsmanship reminding people as if it were the revival of mediaeval masterly performance. After this, he gradually got orders for ecclesiastical works and came to be known as a carver and a craftsman of furniture. 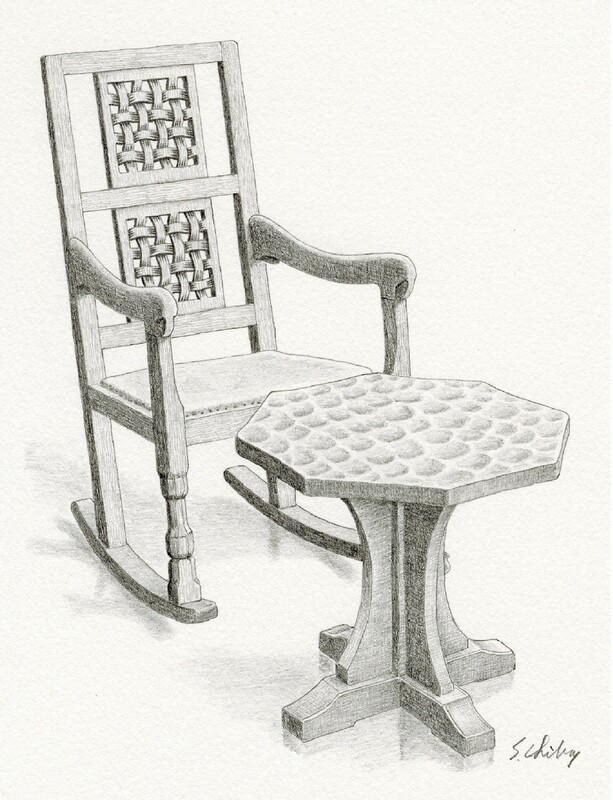 He used only English oak and the designs of his furniture were simple such as a chair having a lattice back, which reminded me of an old farmer's one. The most distingushed feature of his work was the finishing surfaces of tables. He gave them the tooled effect like ripples by using an adze, a mediaeval tool to rough out the surface of plates. I have his tables, and whenever I stroke the ripples of them, I think they are matching the coarse, rough, powerful and beautiful grain of oak. 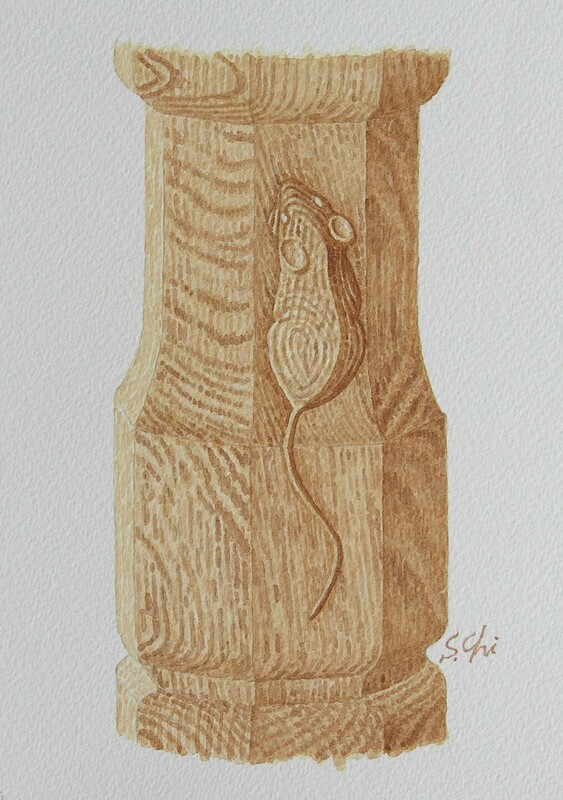 The reason why he was called the Mouseman of Kilburn is that he carved a mouse on somewhere of every item and it became his trademark later.The mouse symbolises his early days' situation, chipping oak, being as poor as church mouse without being known to anybody, but he kept on working in a quiet nook in Yorkshire. Woodworking is prosperous in this area, and there are also a squirrelman in Husthwaite and a lizardman in Crayke. If my memory is correct, there is also a craftsman using an acorn as his trademark. I have Robert Thompson's lovely 18 mice. They are nibbling the legs of tables and chaires and the corner of a cupboard today too. 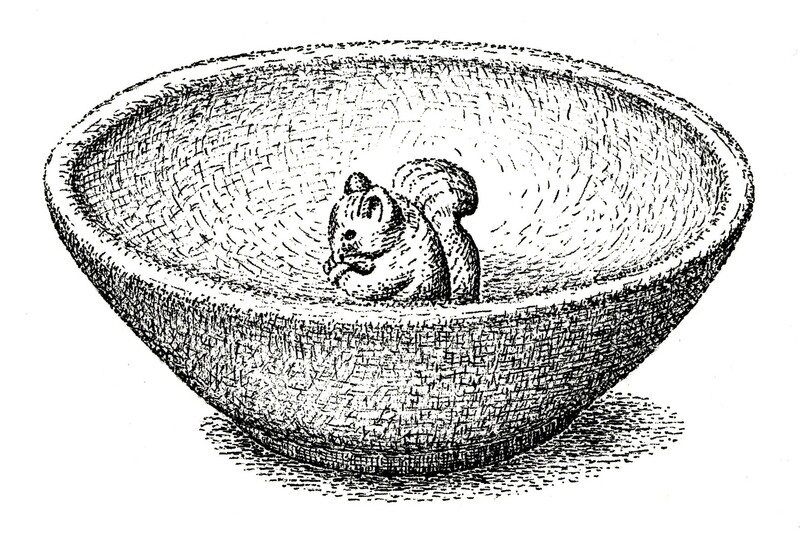 And a squirrel carved by the squirrelman at the centre of a nut bowl is always waiting for nuts to be put into the bowl.